Spring is finally here, and we've got the best events for you to dive right in! Use this compiled list as your guide to planning something fun! Here’s your DMV weekend roundup for Friday, March 22, through Sunday, March 24. Are you ready for the ultimate film festival? The Annapolis Film Festival will feature more than 70 movies over four days, along with special events like meet-and-greets, panel discussions, and coffee talks. Ticket packages can be purchased online. For more information, check out their website! Indecent tells the story of struggling artists from 1906 Warsaw to 1923 Broadway. The play is recommended for middle-school age and up. Tickets are selling for $20-$49. For information about the play, check out the event on the Baltimore Center Stage website! Watch the original 1933 version of King Kong and experience the magic that started it all. King Kong is arguably the best monster movie off all time. There will be a book signing and a customer intro before the screening of the film on Saturday only. Tickets are selling for $13 apiece -- get them here! For more information about the event, check it out here! Celebrate the 385th anniversary of St. Mary's City with other locals. Admission to the event is free. For more information about the event, check it out here! March is Maryland Wine Month! Venture out to the various vineyards and trails for self-guided tours! Trails include Antietam Highlands Wine Trail, Capital Trail, Carroll Trail, Chesapeake Trail, Cider Trail, Frederick Wine Trail, Legacy Wine Trail, Mead Trail, Piedmont Trail, and Patuxent Trail. Spend a day at one of the vineyards sampling wines and delicious food. Each winery offers a different experience, so call ahead to make sure that the place is right for you. Price varies on location. For more information, check out the event here! Come and witness the hilarious shenanigans of Prince Hal and Falstaff as they avoid the crown and get themselves into trouble. Hal’s maturity must be tested before he can be handed the crown. Part I only plays through March 30, so see it while you can! For more information, check out the event here! Witness the hilarious and sad second part to Henry IV. King Henry, Henry's father, is now near death and with the help of his trusty sidekick Falstaff, Henry must fight to keep the crown against Hotspur. Will he prevail? Find out during the showing this weekend. For more information, check out the event here! Enjoy the popular classic Indian musical stylings of Anoushka Shankar. Her concert sold out in 2017, so get your tickets while you can. Tickets are available for $45 apiece. For more information, check out the event on the Washington Performing Arts website! Kick off the Cherry Blossom Festival with the Pink Tie Party. The event will feature delicious food from local restaurants, music, dancing, and drinks (ages 21 and over, please). For more information, check out the event here! Drink delicious drinks and enjoy the beautiful sight of cherry blossoms for the third year in a row. Drinks include Honeydew, Honey See, and Once and Floral. Tickets are selling for $20 each. The event is 21 and over, so please, no children. For more information, check out the event here! Witness the dark twist on your favorite fairy tales such as Cinderella, Rapunzel, and Red Riding Hood. Follow a baker and his wife as they journey to reverse the witch's curse so they may have a child. Tickets are on sale for $20-$83 -- get them here! For more information about the musical, check it out here! For one night only at Union Station, Las Culturistas will be performing their I Don't Think So Honey tour. The two men bring in a hilarious and sassy segment on their personal opinions of certain matters, like, summer. Enjoy a night of laughs! For more information, check them out on Union Station's website. Enjoy some country music at the Anthem! Rock out with Railroad Earth and enjoy a night of fun as you dance along to their catchy songs! Tickets are on sale for $28 apiece! For more information, check them out on Anthem's website! Witness the music of Beethoven, Mozart, and Michael Tilson Thomas, as performed by the San Francisco Symphony. Get your tickets here! The first exhibit after the temporary shutdown is being restored for the entire month of March. Witness the 18th and 19th dynasties of ancient Egypt and learn about the daily lives of queens such as Nefertiti. The exhibit will also feature 350 artifacts, including statues, sarcophagi, and jewelry. Tickets are being sold between $10 and $15 — get them here! For more information, check out the event here! When their mothers become roommates in a cancer hospital room, an unlikely friendship is formed between a 20-something comedian and a middle-aged man. Follow their journey as they weave through life's toughest decisions and crack inappropriate jokes. Tickets are selling for $12-$15 apiece -- get them here! For more information about the play, check it out on the Seven Venues website. Do you love books and love to read? Then you should check out this event! Celebrate all the new books in all the genres. Tickets vary depending on the individual event. For more information, check out their website! Want to relive Mozart's work of genius? The night will feature the Virginia Symphony Orchestra's performance of the last three symphonies he composed -- Overture to The Magic Flute, Sinfonia Concertante in E-flat Major, K. 297b, and the Symphony No. 39 in E-flat Major, K. 543. Get tickets here! Take the opportunity to see Curtis Cowles perform for one night only at the Norva! He is an interactive artist who really amps up the crowd! Tickets are selling for $12 -- get them here! The Manassas Chorale is joining the Voices United Workshop Choir to offer a night of beautiful songs. For more information, check out the event the Manassas Chorale's website! Witness the musical talent of tenor Nicholas Phan, accompanied by the Jasper String Quartet. Phan has been described as one of the world's most remarkable singers. Tickets are selling for $25 apiece. For more information, check out the event on the Reedy Theatre's website! 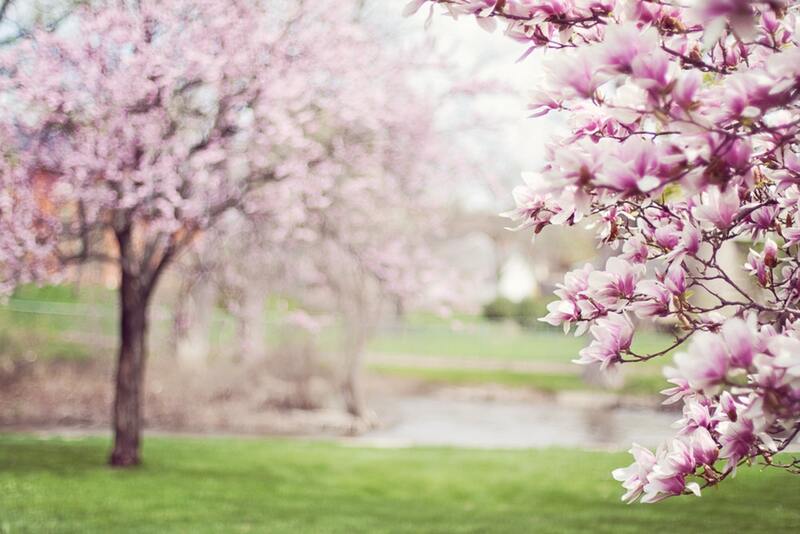 Enjoy the beauty of Buchanan's cherry blossom trees by exploring Main Street, Boyd Street, and Lowe Street. Admission to the event is free! Get more information here! Join the Art Works for a meet-and-greet with artists Kevin Sabo, Crystal George, Robert Wynne, Mark Bests, and Steve Applegate. A new, free exhibit will also be open to the public! Learn more here! What are your plans for the weekend? Did we miss your favorite event? Tell us in the comments!